I love when our brides and grooms personalize their outfits, especially when it involves a little bling! One opportunity for personalization that is both adorable and subtle is your shoes. 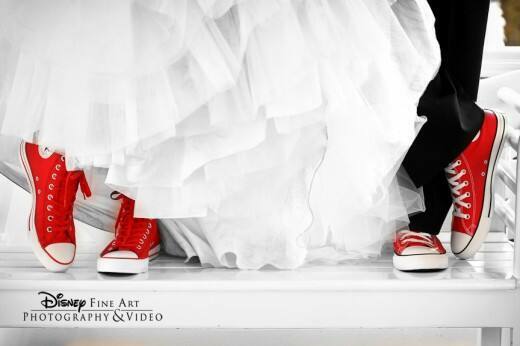 Whether it's an 'I do' made of crystals or a pair of red Converse sneakers, your shoes are sure to make a statement and great photo opt. 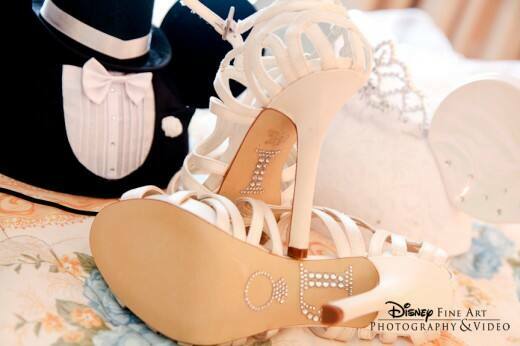 See how these couples added personalization to their shoes and get a little inspiration for you and your 'sole' mate! 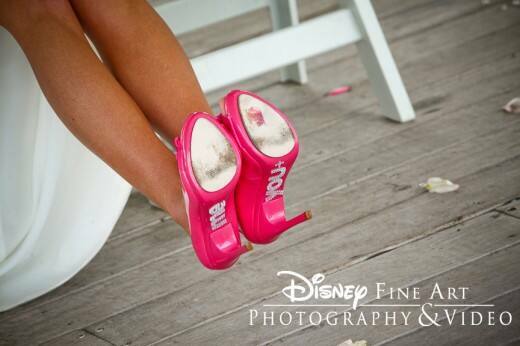 Images courtesy of Disney Fine Art Photography & Video.